Heavy rain outside, right side for a homemade burger…. 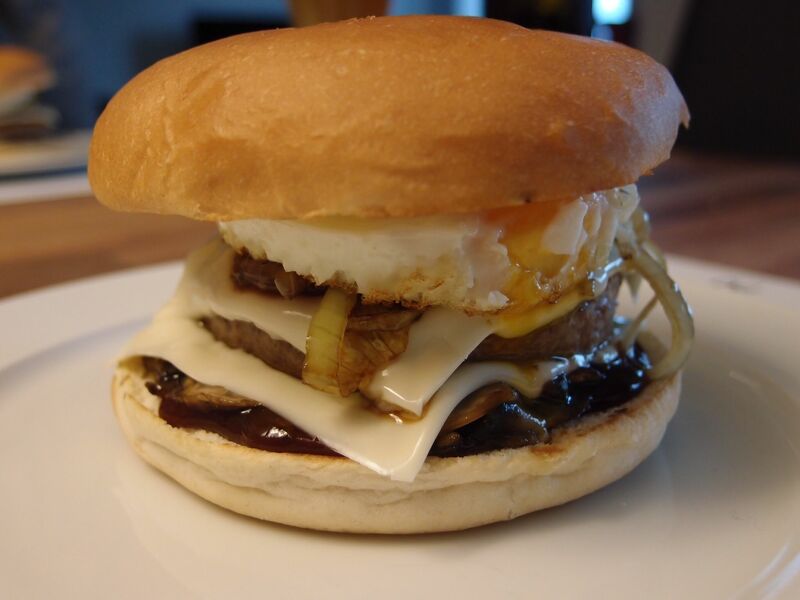 Mushrooms, onions, fried egg, HP spicy sauce, tabasco, cheese and a “Simmentaler” patty. Simmental is a valley near Bern that is home to a very good cattle race.